After hiking all day, a hearty meal cooked over a campfire is comforting and satisfying. Preparing the meal, however, is often time-consuming and inconvenient, especially when you're tired after a long day. The key to successful, no-cook meals when camping is to identify the foods that are portable, non-perishable and tasty, yet packed with nutrients that provide long-lasting energy. By thinking outside the box, you can create a lot of no-cook ideas that the only thing you'll need to heat is your morning coffee. 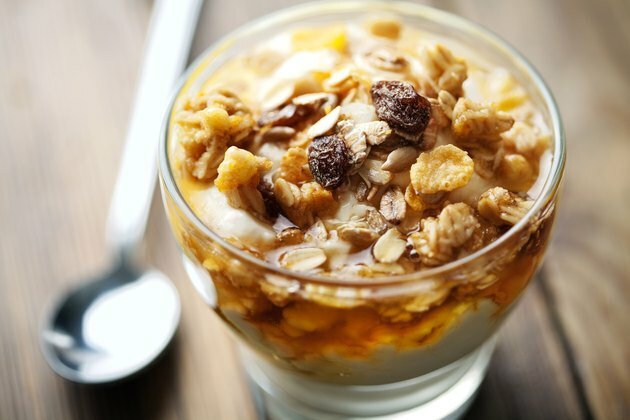 Begin your day with a hearty granola. Mix this no-cook cereal with nuts or seeds, such as walnuts, almonds or unsalted sunflower seeds, and top with dried fruit like raisins or cranberries. Pour shelf-stable packaged milk or soy milk over your granola mixture. Bring along homemade pumpkin, cranberry or zucchini bread to slice and spread with peanut butter. For a hot beverage, use individual packets of sugar-free hot chocolate, apple cider or coffee, which require hot water only. Tuna and other fish that come in prepackaged pouches, along with whole-grain crackers, are easy to carry and open for a no-cook, nutrient-packed lunch. 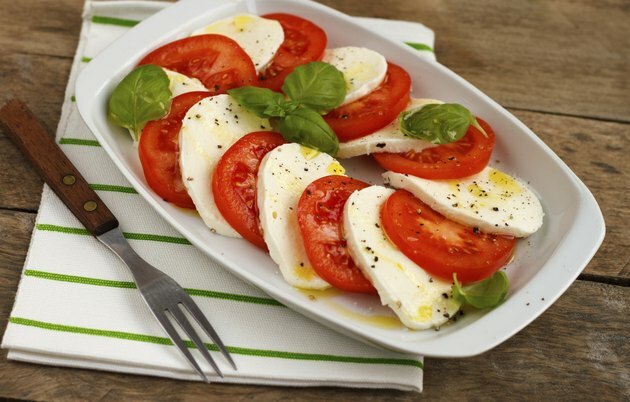 Mozzarella cheese, cherry tomatoes and fresh basil on crispy French bread make a Caprese-like open-faced sandwich for a light lunch, while avocado and low-fat cheese slices on a baguette create a hearty, no-cook meal. Peanut butter and banana slices on whole-grain bread provide a simple way to ensure that your body receives long-lasting energy. Smoked salmon, whole-grain crackers, Dijon mustard and capers add an elegant touch to your no-cook lunch or make a tempting appetizer for your evening meal. Freeze-dried and prepackaged foods that you pack into metallic bags are excellent options for no-cook dinners. These foods don't require refrigeration, and often, they don't need water. The entrees include soups, pastas, chicken and many other choices. Many large grocery stores and camping supply outlets carry freeze-dried and prepackaged foods. Wraps or pitas filled with canned beans, veggies, low-fat cheese and salsa are simple to make and don't require cooking. 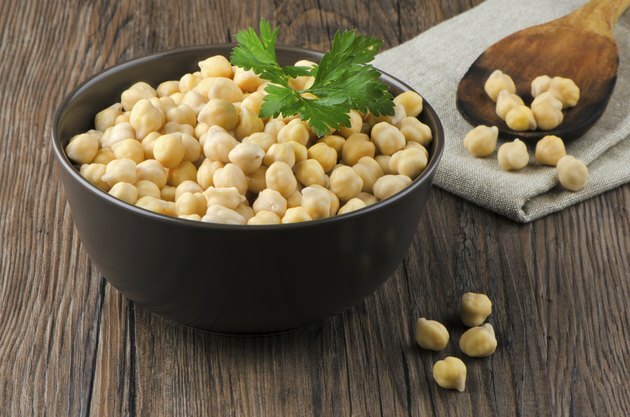 If you're bringing a cooler, then create choices such as mixed salad greens topped with canned chickpeas, tomato slices drizzled with olive oil and balsamic vinegar and serve with crusty bread to make a no-cook meal for warm summer evenings. Provide plenty of no-cook, self-serve snacks that allow other campers to satisfy their hunger, while freeing you from having to prepare food constantly. 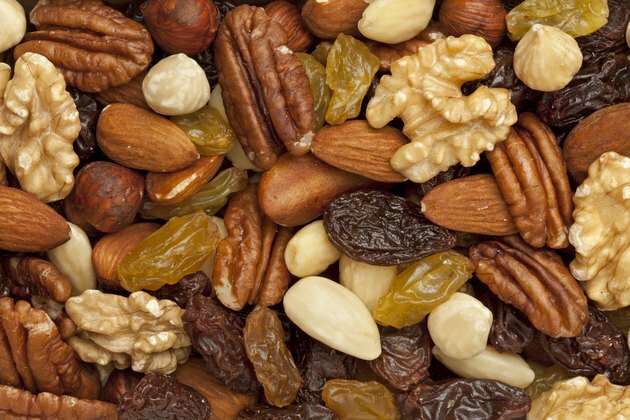 Keep it healthy by supplying ready-to-eat foods such as energy bars, whole-grain crackers, trail mix, dried fruit, kale chips, nuts, pretzels, and low-sodium jerky or vegan jerky made from ingredients like tofu and kale. Pack your cooler with dry ice and load it with low-fat dips, nutrient-rich hummus, fresh veggies and fruits. Individually sealed containers of applesauce or pineapple make tasty pick-me-up snacks. Sprinkle applesauce and pineapple chunks with graham cracker crumbs and top with dried blueberries and chopped nuts for a delicious and nutritious snack or dessert.